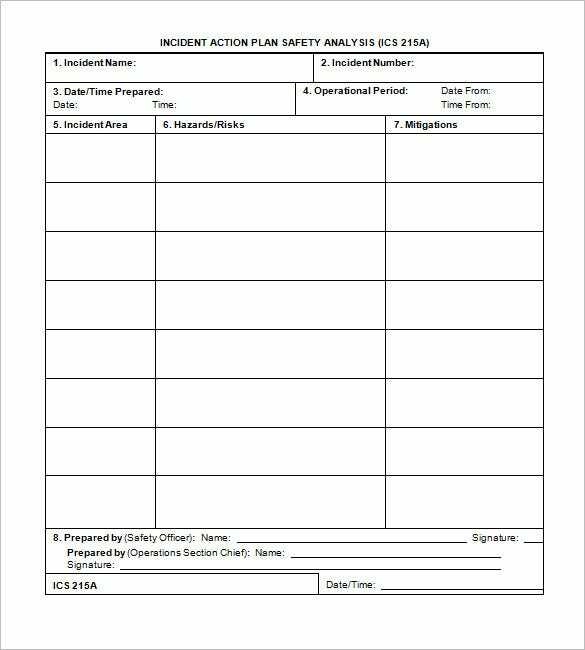 Incident Action Plan Template – 8+ Free Word, Excel, PDF Format Download! Accidents and emergency can happen at any point of time. They might occur when we are at work or at home. However when at work, a situation of crisis or emergency is going to mean that more than one person is at risk. At such a crisis point it is imperative for the company to have an incident action plan. 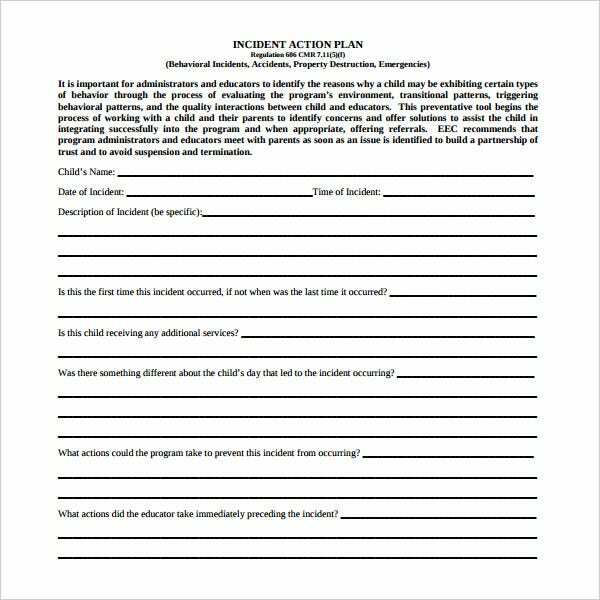 The incident action plan template provides some of the best quality of readymade structures that can provide a user with professional aid to create an incident action plan template. Fire is an element that can cause a lot of damage. 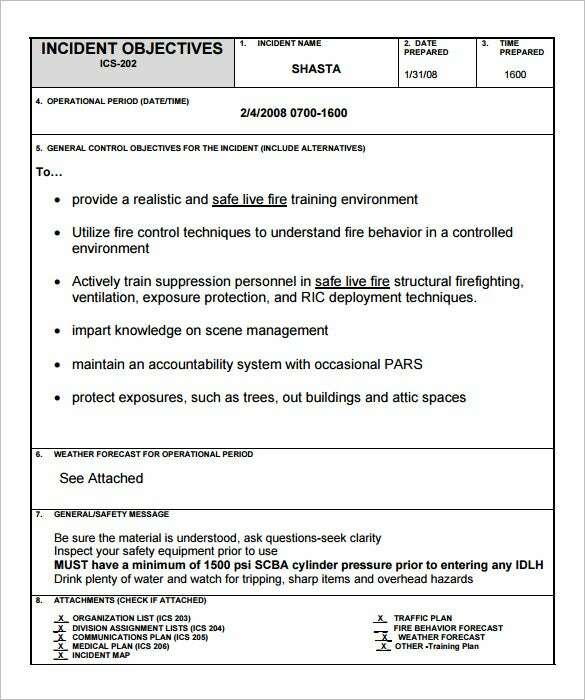 This is a template that speaks of the various measures of safety which are to be followed to combat live destructive fire. The template design is very simple and effective. It can be easily downloaded that comes in the form of word document. The user can make changes in the template with speed. 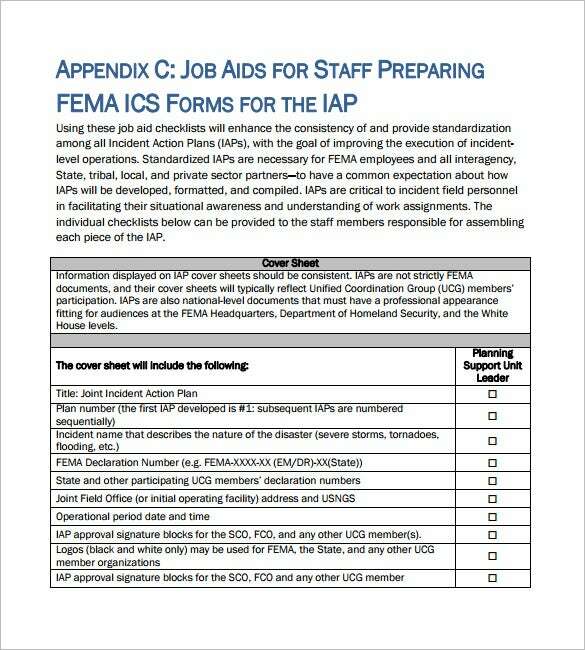 This incident action plan template has a very neat and tidy format. The template supports the information of the nature of the hazard, the affected area, the mitigations sections and also the area of follow-up. A neat table is provided for the ease of the user. The template design has a well spaced out table that can hold a lot of information. This is an action plan for crisis or emergency that can train the employees of the company to combat situations of crisis. 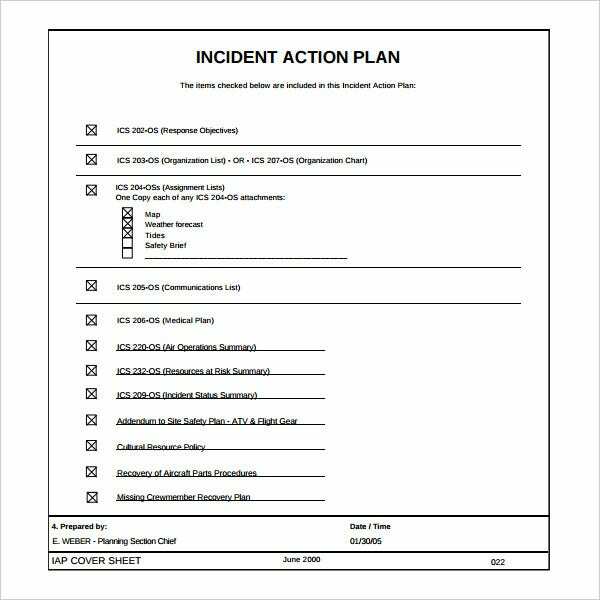 This incident action plan template has a great resolution range and can provide very superior quality of printouts. The template has been provided with some of the best technical features. The format of the template is juts right to mention the nature of the hazard and also the preventions and precautions against the same. The template design can contain paragraph style of writing and has super responsive features. You can even certify goals and objectives that you so far wished to incorporate in your plan without curtailing any aspect. Entire formulas are based on the plan that you make. 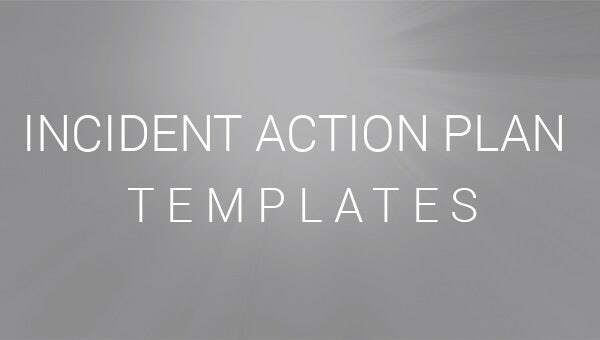 > What are the Uses of Incident Action Plan Template? 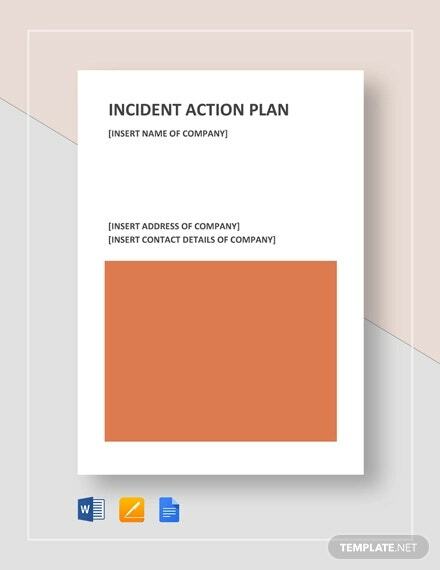 An incident action plan template is a document that can be used by corporate houses to create an incident action plan for their employees. This plan is going to help the company to point out at all the required preventive measures that needs to be accommodated within the company to fight a situation o crisis or accident. This template design can also help to train the employees of the company to protect themselves from situations of hazard. 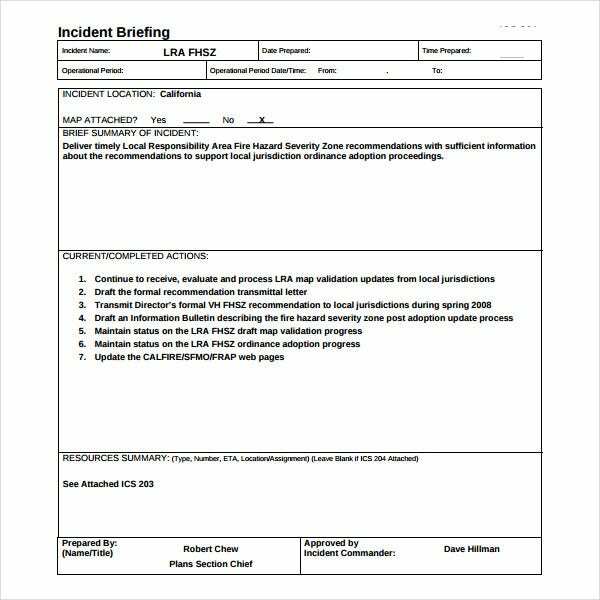 > How to Create an Incident Action Plan Template? The user first must choose on a format for the template. A table format that is going to have columns and rows mention the heads of the nature of the hazard, equipments to wear and actions is best. The template has to be responsive. It must have a good resolution. 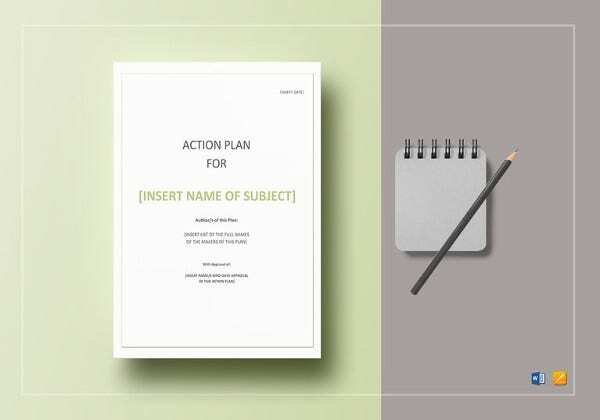 The most prominent benefit of these incident action plan templates is that they provide a detailed yet professional structure that can be used to create valid and valuable documents for a company. They also save the time of the user who can start straight away with feeding in information. 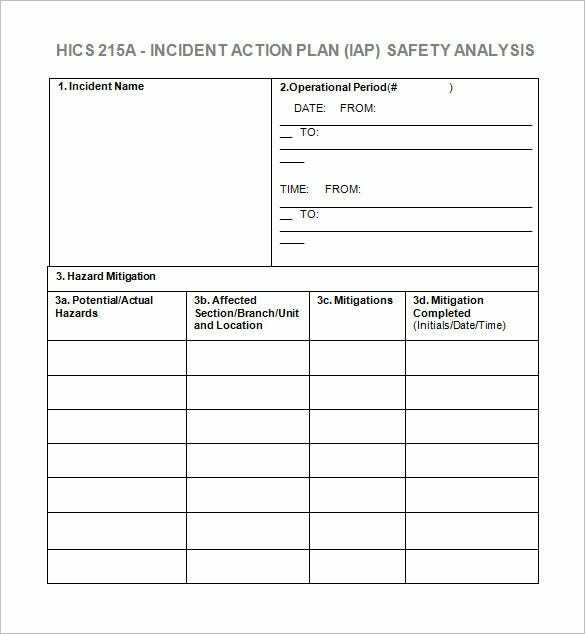 The incident action plan templates can be used by various companies to create their own unique and pertinent hazard action plan. These templates can also provide to be valuable source of material for training purposes in the corporate houses of the world. If you have any DMCA issues on this post, please contact us!